Researchers at the University of Southampton have won more than £900,000 in funding for a project to improve access to artificial limbs in lower and middle income countries (LMICs). The ambitious three-year project will see two studies carried out in Cambodia, southeast Asia, with the aim of developing digital tools to improve access to prosthetic and orthotic (P&O) services, train clinicians and ensure funding is spent more efficiently. About 100 million people worldwide need prosthetics (artificial limbs) or orthotic devices (braces and splints), but an estimated 80 to 90 per cent of those do not have access to P&O services because of a shortage of personnel, service units and health rehabilitation infrastructures. 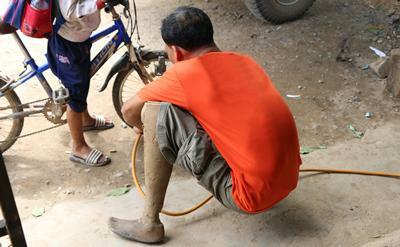 The higher incidence of traumatic amputations in LMICs (caused by accidents, conflict and landmines) means people with P&O needs are typically younger, with more physically active years ahead of them, than users in more economically developed countries, for whom most prosthetics technology has been developed. The project is one of 15 announced today [Wednesday 31 January] to receive a total of £16m in funding from the Engineering and Physical Sciences Research Council (EPSRC) and the National Institute for Health Research (NIHR) through the Global Challenges Research Fund (GCRF), a £1.5 billion government fund to support cutting-edge technology that addresses challenges faced by LMICs. University of Southampton mechanical engineer Dr Alex Dickinson, who is leading the project, said: “I’m delighted that we have won this vital backing. In LMICs there are still many more patients than the existing number of clinicians can possibly cope with, and there is an ever-growing population of people with P&O requirements. The project is a result of the Institute for Life Sciences' FortisNet initiative, which brings together experts from different disciplines across the University. - The architecture for a portable digital patient case note system: a robust and secure IT network for travelling prosthetists to visit provincial areas to provide evidence-based treatment for those in remote communities who cannot afford to travel. Dr Dickinson said: “These technologies have the potential to transform the quality of life of prosthetic limb users worldwide, and are needed today. A more portable P&O service would enable people to access provision, fitting, adjustment and repair of their prosthetics with reduced time off work – essential where an agricultural worker spends their day’s earnings on the same day’s food. Partners in the project include University of Salford, the Cambodian School of Prosthetics and Orthotics, Exceed Worldwide, National Institute of Social Affairs, Cambodia, the Exceed Research Network, and BluPoint, a University of Southampton digital spin-out company. BluPoint technology will also enable the researchers to disseminate educational material and help people manage their conditions. EPSRC Chief Executive, Professor Philip Nelson, commented: “Responding to healthcare challenges in low and middle income countries can require the development of innovative new approaches; key factors include affordability, portability and the requirement for point-of-care operation in often remote locations. 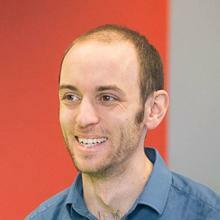 Dr Alex Dickinson is Associate Professor within Engineering and Physical Sciences at the University of Southampton.